Is The PS4 Region Free? The PlayStation 4 from Sony is more than just a game console. Thanks to its ability to play back Blu-ray/DVDs, you can enjoy your favorite movies on Blu-ray/DVD with the console. But the region lock on the Blu-ray/DVD might be an issue for you. Some PS4 owners might have the question: Is the PS4 region free? 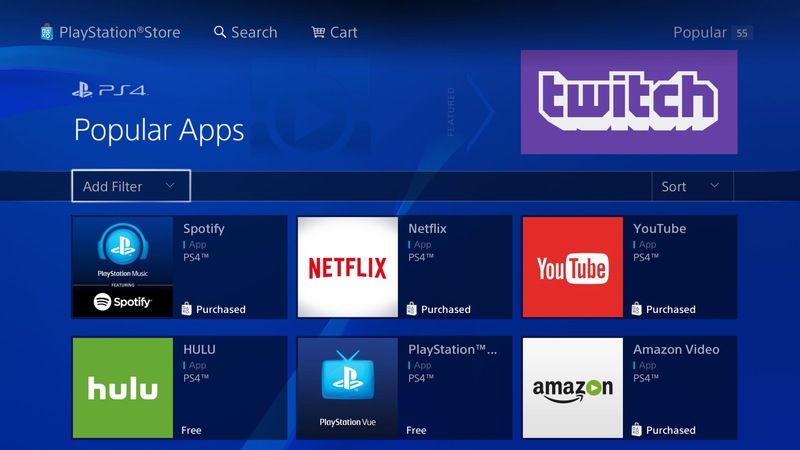 Here’s what you need to know: The PS4 is region free for all games, meaning that you can buy a PS4 from all over the world and have it play the game you buy from any country or region. But the console is region locked for DLCs. It means if you bought a PS4 from the US, you’ll have to get the DLCs from a North American PSN account. PSN codes on your PS4 are locked to the country that it’s bought from and it needs to match the PSN account. And the PS4 is region locked for Blu-rays and DVDs. 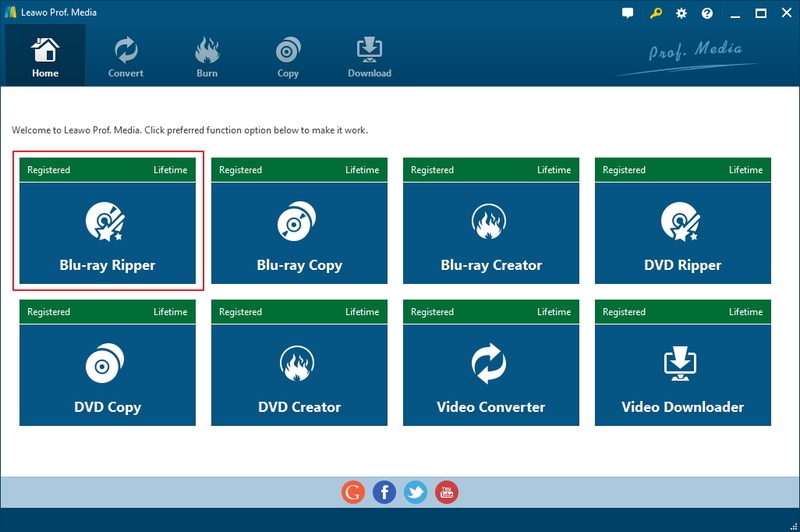 Users are allowed to change the region code for playback of DVDs on certain models and there’s no such option for changing the region code for Blu-rays. 1100s model or higher allows users to change region code for DVDs but not 1000s models. Below are the lists of region codes of Blu-ray and DVD for your reference. 0 Informal term meaning “playable in all regions”. Region 0 discs will play on any DVD player. 1 Bermuda, Canada, United States and U.S. territories. 2 The Middle East, Western Europe, Central Europe, Egypt, French overseas territories, Greenland, Japan, Lesotho, South Africa and Swaziland. 3 Southeast Asia, Hong Kong, Macau, South Korea and Taiwan. 4 Australasia, Central America, the Caribbean, Mexico, Oceania, South America. 5 The rest of Africa, Former Soviet Union, the Indian subcontinent, Mongolia, North Korea. 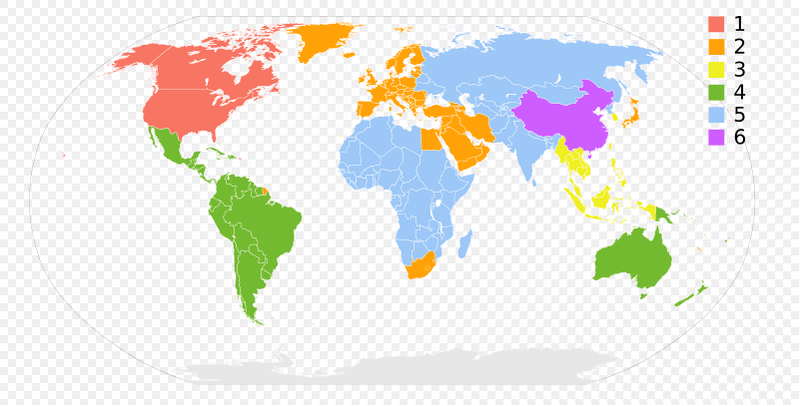 Region A—East Asia (except Mainland China and Mongolia), Southeast Asia, North America, South America and their dependencies. Region B—Africa, Southwest Asia, Europe (except Russia and Kazakhstan), Oceania (including Australia and New Zealand) and their dependencies. Region C—Central Asia, East Asia (Mainland China and Mongolia only), South Asia, central Eurasia and their dependencies. As is mentioned previously, the region code for DVDs can be changed. But you can only change it for 4 times and it will be permanently locked to the region code you enter the fifth time. Some Blu-rays are even cheaper bought from UK and shipped to the US than directly being bought from the US. If that’s how you get your Blu-rays, you might have problem playing the Blu-ray on a PS4 you bought from US. If you have Blu-rays or DVDs that are not the same region as your PS4, you won’t be able to play it directly on the console. Does that mean there’s no way for you to watch the movie? Not necessarily. How to make PS4 region free? While there’s nothing you can do about it, if you are willing to go a few extra miles, you can try ripping the Blu-ray to MP4 on your computer to get around the region code issue. As you know, PS4 supports playback of MP4 videos from external storage devices. You can rip the Blu-ray and then put it in your USB drive to play on the PS4. All you need to make that happen is a high quality Blu-ray ripper program on your computer. If you are intrigued, here’s an excellent Blu-ray Ripper program you can try：Leawo Blu-ray Ripper. Not only is it able to rip Blu-ray to MP4, it can even rip Blu-ray to lossless MKV if you take video and audio quality as the first priority. Learn how the program works in the tutorial below. It will show you how to rip Blu-ray to a PS4 compatible format and the DVD ripping process is basically the same so you can still follow the instructions below to rip a DVD. Note that Leawo Blu-ray Ripper is included in a program called Leawo Prof.Media. So to open Leawo Blu-ray Ripper, first kick off Prof.Media on your computer and you would be able to find the icon of Blu-ray Ripper from the 8 tabs on the main interface of Prof.Media. Place the Blu-ray disc in your Blu-ray drive. When the disc is ready, you can start to load the data of the disc to the program for further processing. To load the data, you can open the disc folder in a File Explorer window and drag the folder to Blu-ray Ripper. There’s also a simpler way to do that. Click Add Blu-ray/DVD from the upper-left of the interface and select Add from CD-ROM, you would then see a menu with your Blu-ray disc on it. Hit this option to load the source data from the disc to the program. A Blu-ray disc typically includes more than one video in it. If you don’t need them all, you can pick the ones you need in this step. Use the Custom Mode button to select the videos you need directly from the video list on the left column. If you click Main Movie, you will notice that the main movie will be chosen automatically. And if you choose Full Movie, the program will rip all the videos. The video player window on the right is for you to watch the videos in the disc. Just double-click a video from the left sidebar to watch the video. After choosing the videos you need, click OK to have the videos loaded to the program. PS4 can play MP4 videos, so the safe choice for an output video is MP4. You will get several different choices here though. There’s the common MP4 profile that works for most mobile devices. There’s also a profile made specifically for PS4. And you can also choose the HD MP4 profile. To make your choice, first click the button on the left of the green Convert button in the upper-right area of the interface. On the following menu, hit Change in the middle and you will open the format list. Find the profiles I mentioned before and select one that you think is most suitable for the PS4. After the default output format is set, you can click the green Convert button now to display a sidebar above the video list. It’s got the default output path on the top. There’s a default output path on it and you can reset it to the ideal location if you want. Then you can start ripping the Blu-ray for your PS4 by clicking the Convert button at the bottom. 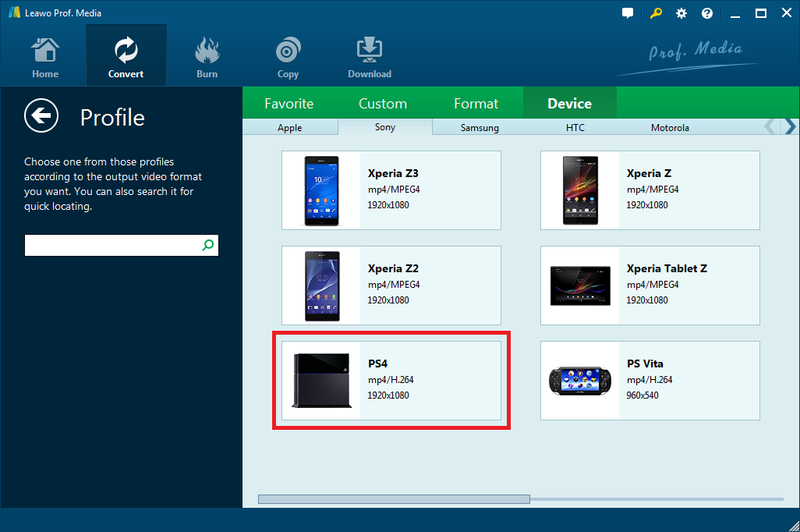 Above is how to create region free Blu-ray PS4 users could try. Is the PS4 region free for Blu-ray/DVD? No, but there’s a way to get around the region code issue and enjoy the movies with no limits. If you need, here’s the video that shows you how to rip Blu-ray to PC. A region-free Blu-ray disc is playable on all Blu-ray players. So if you can find a way to make a region-free copy of the disc you can’t play currently, you’d be able to watch the movie on PS4. Here’s the program I know that can help you do that. It’s called Leawo Blu-ray Copy. 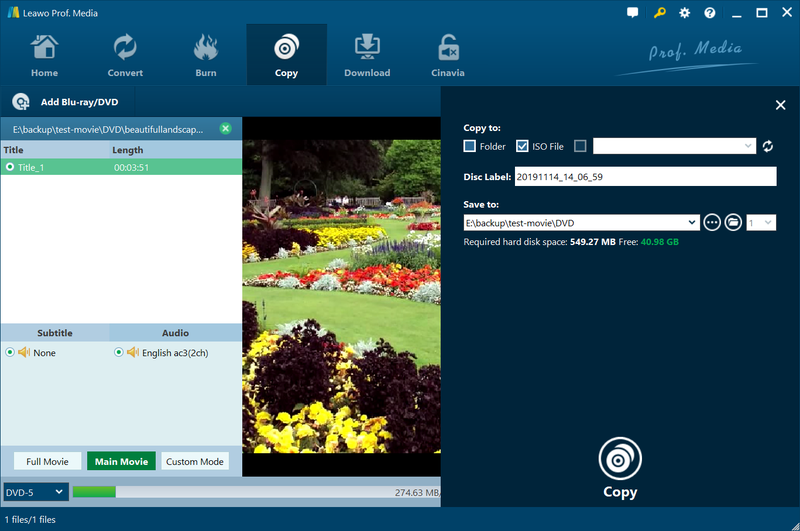 It’s a powerful Blu-ray/DVD backup tool designed to help users copy and back up their Blu-ray/DVD collection. During the copy process, the program will have the copy protection and region codes removed from the copy, so you will get a region-free copy playable on all Blu-ray enabled devices. It’s a must-have program for people who collect Blu-ray movies. Learn how the program works in the instructions below. Note: Leawo Blu-ray Copy is part of Leawo Prof.Media, like Leawo Blu-ray Ripper we used above. Step 1. 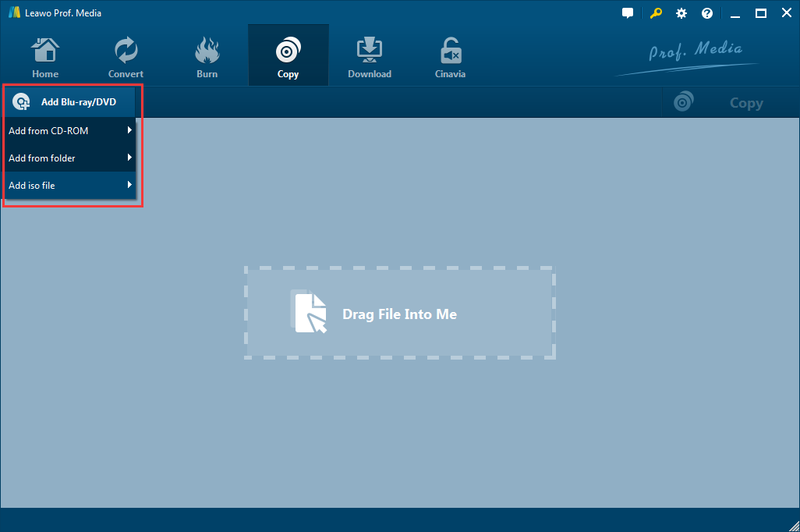 Open Prof.Media and launch Blu-ray Copy from the main interface by clicking the Blu-ray Copy icon. Step 2. 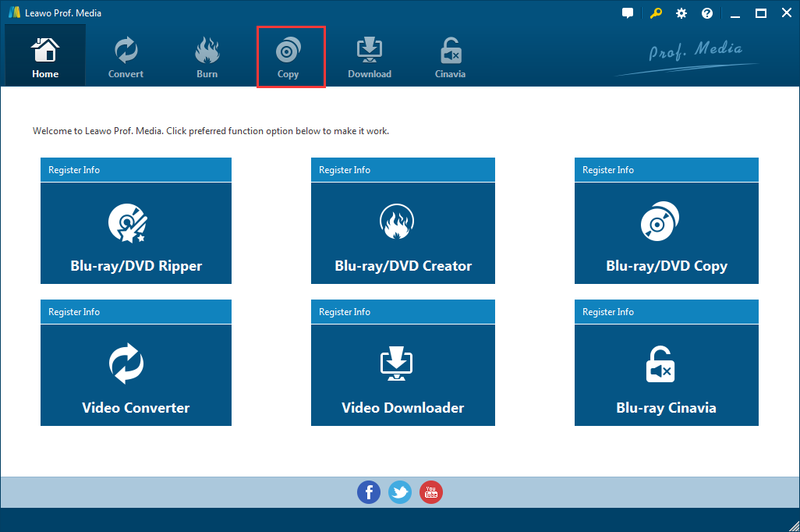 Have your Blu-ray disc inserted in your Blu-ray drive and import the Blu-ray files to Blu-ray Copy by clicking Add Blu-ray/DVD>Add from CD-Rom. You can also open a File Explorer window, find the Blu-ray folder in it and drag it to Blu-ray Copy’s interface to have the Blu-ray files loaded to the program. Step 3. Just like Blu-ray Ripper, you are offered with the chance to pick what content you want before starting the copy process. But Leawo Blu-ray Copy has more contents offered for you to choose. Pick a copy mode among Full Movie, Main Movie and Custom Mode. Choose Full Movie if you want to copy all the videos, subtitles and audio tracks. Select Main Movie if you only want the main movie saved in the copy. And with Custom Mode, you are able to choose the content you need by yourself from the lists above. And then select disc format for the copy in the disc format drop-down menu in the bottom-left. Depending on what kind of recordable Blu-ray disc you have, you can choose BD50, BD25, DVD-9 or DVD-5. Step 4. Click Copy from the upper-right. You have 3 different choices for copying the Blu-ray disc. The most convenient way to make a copy for playing on the PS4 would be to directly copy the disc to a recordable Blu-ray disc. And you can do it when you have two Blu-ray drives and one of them can burn Blu-ray discs. If you do have them all, check the third option on the top and select the recordable Blu-ray disc from the drop-down menu of the third-option. And when you start the copy process, the program will directly have the original Blu-ray disc copied to the recordable disc. 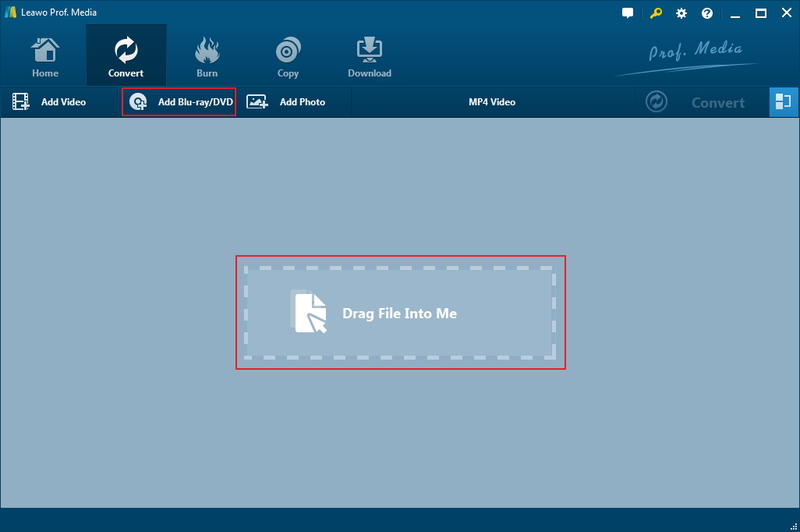 Here’s the video guide of Leawo Blu-ray Copy to help you quickly master the program. Things can also work out if you only have one Blu-ray drive. Just check Folder or ISO File to have the Blu-ray movie copied to your computer first. Set where to save them in the output directory box. You can later have the Blu-ray folder or Blu-ray ISO file imported to Blu-ray Copy again and burn them to a recordable disc. But you need to make sure that the Blu-ray drive you use supports disc burning. Click the Copy button at the bottom and the copy process will start.